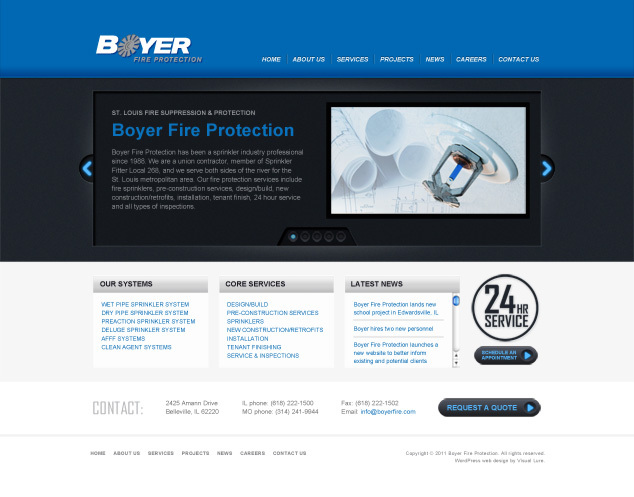 Visual Lure is in the process of designing a new website for Boyer Fire Protection. Boyer is a fire protection contractor based out of Belleville, IL that serves the entire St. Louis metropolitan area. They install, inspect and service all types of fire protection systems and equipment. The new website will be built in WordPress which is search engine friendly and easy to maintain. Below is our proposed home page design. Check back soon for the actual launch of the new website. 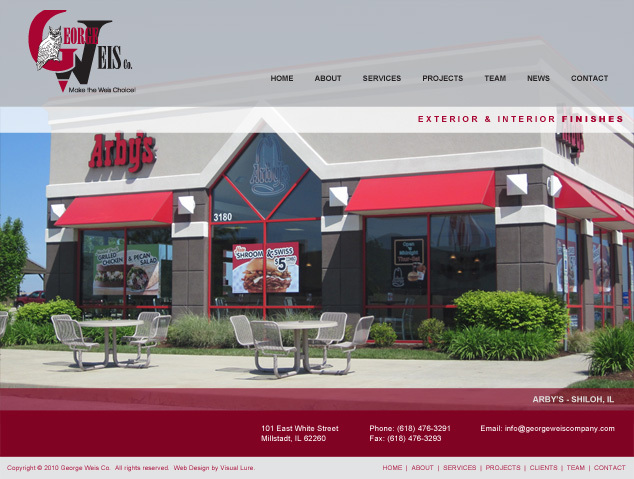 Visual Lure is in the process of completing a new website for the George Weis Company. They are a St. Louis metro east exterior & interior finishing construction company based out of Millstadt, IL providing Plaster, EIFS (Dryvit), Stucco, Drywall, Acoustic Ceilings (Drop Ceilings), Interior/Exterior Metal Framing and Cultured Stone services to the greater St. Louis area. The new website is built in WordPress which will allow the client to maintain the site with ease. Here is a sneak peek at the new home page design. Check back soon for the official launch. UPDATE: The new George Weis Company website has launched. Check out the new website here: www.georgeweiscompany.com.